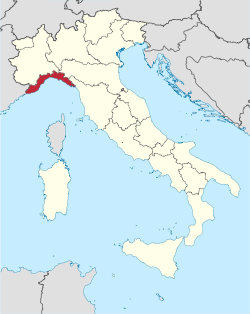 Sandwiched between Piemonte and the Mediterranean is Liguria, A.K.A. the Italian Riviera. It stretches 315km and is home to some of the most dramatic coastal vineyards in all of Italy. This is especially true in the quaint fishing villages and their surroundings that make up the Cinque Terre appellation. With the steep rocky terrain that funnels into the ocean harvesting grapes is high stakes. Over the years many producers have implemented compact monorail systems for the safety of those gathering grapes in these perilous vineyards. This dedicated passion and creativity of the growing community is responsible for keeping the cultivation alive here. The region benefits from a mild climate with protection from northern cold fronts via the Ligurian Apennines. In addition, its proximity to the sea provides a mitigating effect to keep it dry, warm and balanced. Although the region is the 2nd smallest in Italy, the native grape varieties are vast with close to 100. Of the most common that reach other countries are the notable varieties of Bosco, Albarola and Vermentino. All of which combined to make a crisp savory blend for light sea fare of the land.